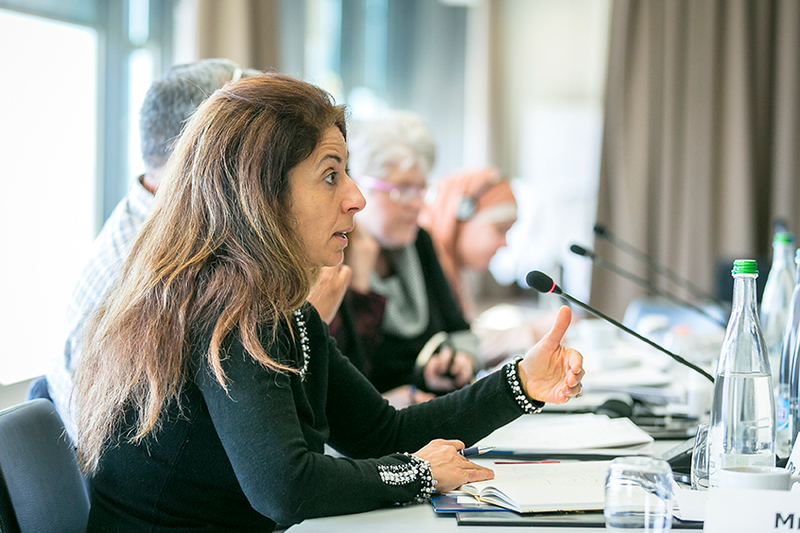 Religious and community leaders recently took part in a Carter Center workshop in Switzerland to learn about ways to counter violent extremist propaganda of all kinds. Daesh, the terrorist group also known as ISIS, has lost 98 percent of the territory it once held in Syria and Iraq. But Daesh’s military defeats won’t end violent extremism. The Carter Center has pioneered a unique approach to the problem: In 2014, it launched what is now called the Inclusive Approaches to Preventing Violent Extremism Project. Staff first conducted an in-depth analysis of Daesh’s recruitment propaganda and then began training religious and community leaders to develop messaging to counteract extremist propaganda in all forms, whether it comes from Daesh or Islamophobic hate groups. 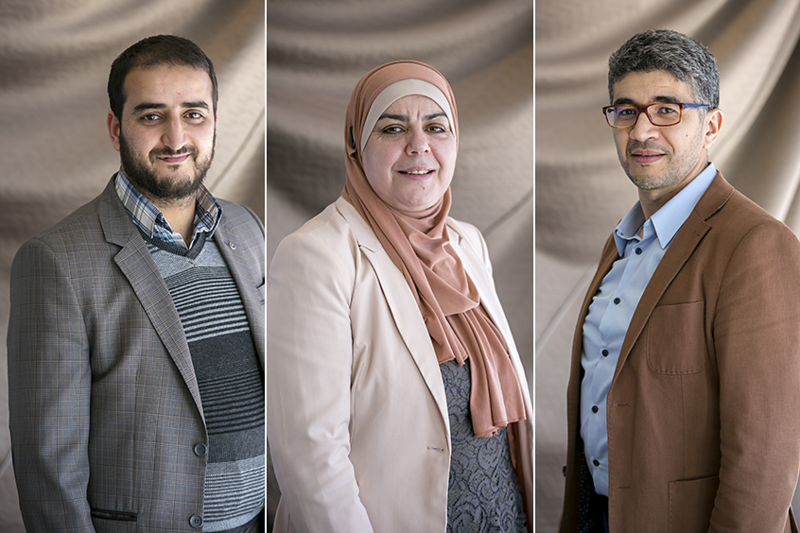 The first group of leaders – 23 men and women from Morocco, Tunisia, Belgium, and France – have wrapped up their initial individual projects and recently attended a workshop in Switzerland to fine-tune proposals for new group projects and to learn about how Daesh is changing its propaganda approach in the wake of its territory loss. “This was our fifth workshop,” said Houda Abadi, an associate director in the Center’s Conflict Resolution Program. “Participants have already used the skills and resources they’ve picked up in previous sessions to produce more than 60 grassroots projects. They’ve developed videos and other online messages, conducted religious outreach, and created youth engagement programs. In one of his initial projects, Imam Ismaiel Benzakaria worked with youth in an underprivileged neighborhood in Tangier, Morocco, eventually training 20 young women at risk of radicalization in psychology and sociology. These women now go into schools and teach students how to create initiatives in their communities. They give them tools to be positive forces for change – to channel their talents and energy for good. Ismahane Chouder of France, who teaches at a journalism institute, said she has used the analyses and expertise picked up in the Carter Center workshops to help her in the fight against Islamophobia. The proposed group projects for each country cover a variety of areas, but most focus on youth. The Belgian group, for example, is planning to teach 1,000 young people in three cities about how to collaborate with civil society organizations, politicians, and others in their communities. They will give them media training and teach them how to more accurately interpret the Quran. They will focus on marginalized youth, who are often ripe for extremist recruitment, giving them media training and teaching them how to deconstruct propaganda. The plan, he said, is to train 100 young people in 2019 so that they can help train 900 more the following year. “Our model,” Chihab said, “is a virus – a good virus. We want to infect our community with peace.